Item # 300369 Stash Points: 1,999 (?) This is the number of points you get in The Zumiez Stash for purchasing this item. Stash points are redeemable for exclusive rewards only available to Zumiez Stash members. To redeem your points check out the rewards catalog on thestash.zumiez.com. 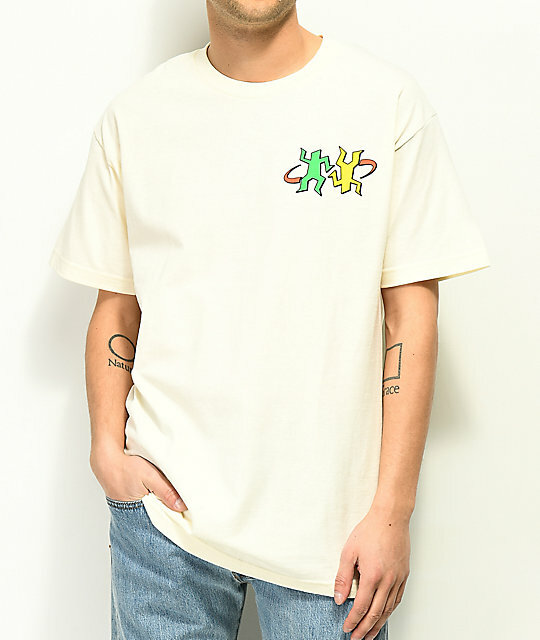 Add Rasta vibes to your day in the Flipside Records shirt from A-Lab. 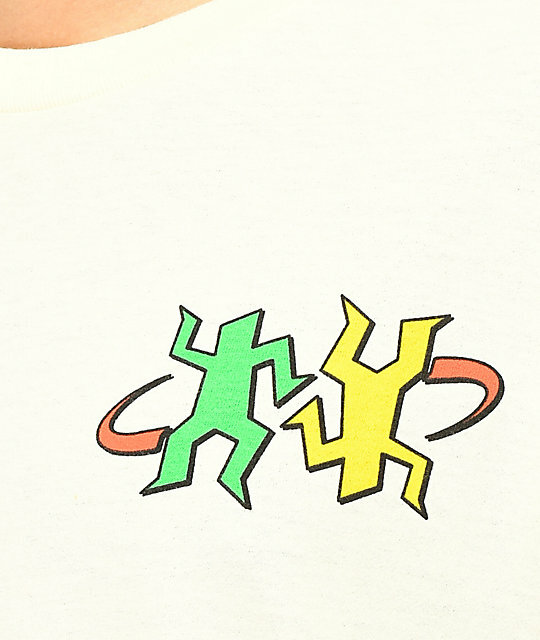 A cream, 100% cotton shirt features a yellow, red and green dancing dup at the left chest and back. "Flipside Records & Entertainment" text is added to the back to bring this shirt together. 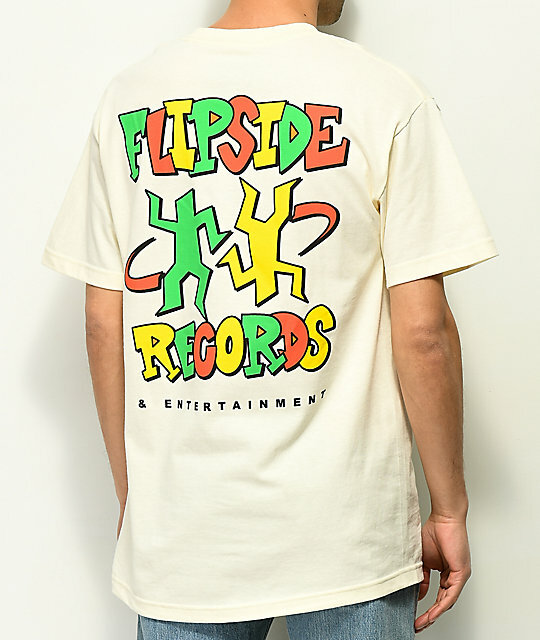 Flipside Records Cream T-Shirt from A-Lab.